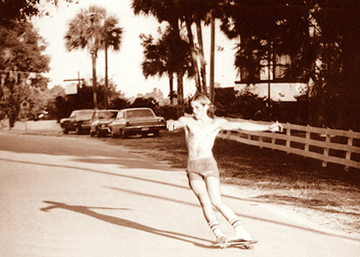 Ricky Cope, class of 1976, skateboards on Adair Road next to the main building in regulation FCA gym shorts. Photo is from 1975. What happened to your shirt Ricky? Photo sent in by Art Copeland, class of 1976.